Watch out, Titan FC welterweights. There’s a “Killa B” headed your way. 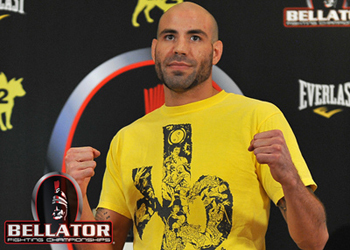 On Tuesday night, Titan FC officials confirmed former UFC and Bellator MMA star Ben Saunders (pictured) has signed a muti-fight deal to join the promotion. The 31-year-old veteran is expected to make his Titan FC debut this summer when the organization takes its talents to CBS Sports Network. Saunders requested and was granted his release from Bellator after getting knocked out by Douglas Lima last September. He went 7-3 for the company, but was never able to win one of their welterweight tournaments to secure a title shot. Saunders emerged onto the MMA scene as a contestant on “The Ultimate Fighter 6” back in 2007. He posted a 4-3 mark inside the octagon and was let go in 2010 after dropping two straight scraps. The likable welterweight owns a 16-6-2 professional record.